Over the Thanksgiving weekend both Snoqualmie/North Bend police officers and Washington State Troopers were busy patrolling for DUI drivers. WSP reported early Saturday morning, November 24th that in two days they had arrested 31 people in King County for DUI with increased patrols. The Snoqualmie Police Department was also busy on local roads, reporting they made six DUI-related arrests over the weekend. The arrests included alcohol and drug incidents, with one female suspect registering a .229 BAC – putting her at three times the legal limit. 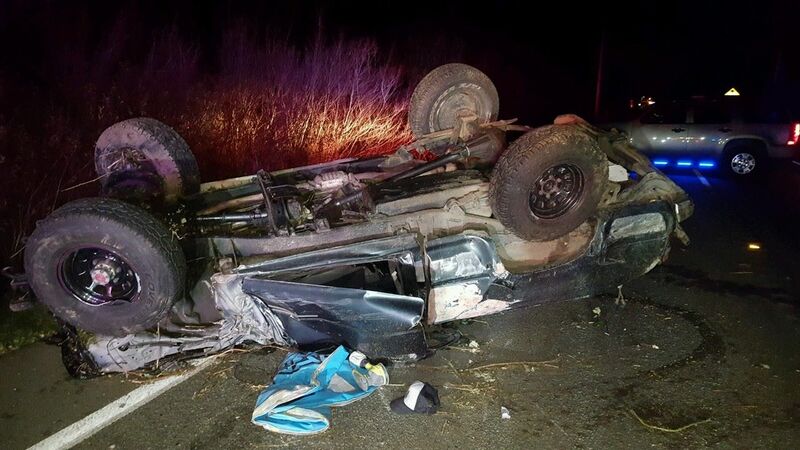 One of the arrests also included a serious, one-vehicle rollover accident on SR 202 near the Mount Si High School Freshman Campus. According to SPD’s social media post, the truck involved was driven by a 20-year old Fall City male who fled the scene. He was caught and later booked into jail on investigation of Hit and Run and resisting arrest. A Snoqualmie officer was injured during the arrest and was hospitalized, but released later that night. Officers had to file a DUI blood search warrant to obtain the suspect’s blood, which they reported was granted. They said additional charges are likely to be filed pending those results. SPD said the suspect also had another DUI arrest earlier this year. In separate criminal and drug interdiction patrols in late October, Snoqualmie Police and Washington State Patrol officers also made five daytime DUI arrests in the Snoqualmie Valley area. The Washington State Patrol said it is increasing DUI patrols through the holidays to do its part in keeping the roadways safe.